The "Pi in the Sky" math challenge gives students a chance to take part in recent discoveries and upcoming celestial events, all while using math and pi just like NASA scientists and engineers. 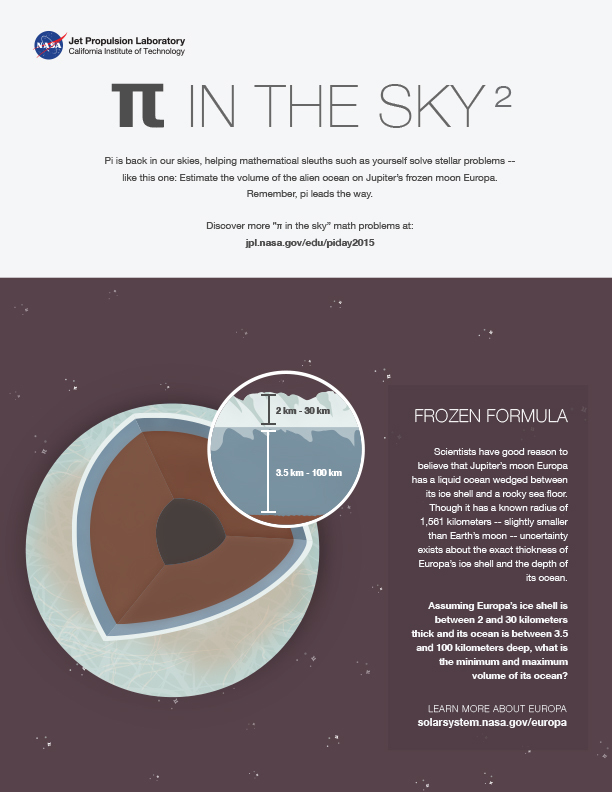 In this problem from the set, students use the mathematical constant pi to calculate the volume of the alien ocean on Jupiter's moon Europa. Beneath the icy surface of Jupiter’s moon Europa is perhaps the most promising place to look for present-day environments suitable for life. Slightly smaller than Earth's moon, Europa’s water-ice surface is crisscrossed by long, linear fractures. Like our planet, Europa is thought to have an iron core, a rocky mantle and an ocean of salty water. Unlike Earth, however, Europa’s ocean lies below a shell of ice. While evidence for an internal ocean is strong, its presence awaits confirmation by a future mission. Europa orbits Jupiter every 3.5 days and is locked by gravity to Jupiter, so the same hemisphere of the moon always faces the planet. 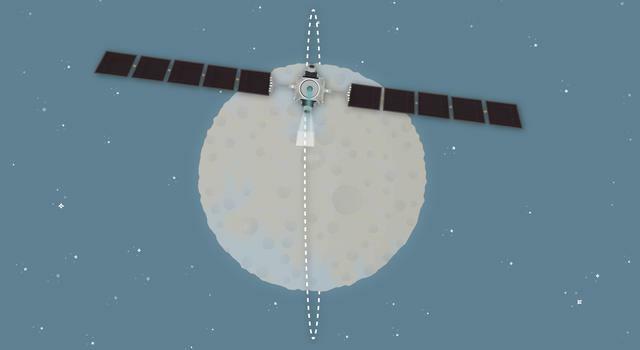 Because Europa's orbit is elliptical (slightly stretched out from circular), its distance from Jupiter varies, and the moon’s near side feels Jupiter’s gravity more strongly than its far side. The magnitude of this difference changes as Europa orbits, creating tides that stretch and relax the moon’s surface. Flexing from the tides creates the moon’s surface fractures. If Europa's ocean exists, it might also have volcanic or hydrothermal activity on the seafloor, supplying nutrients that could make the ocean suitable for living things. Based on the small number of observable craters, the surface of this moon appears to be no more than 40 to 90 million years old, which is youthful in geologic terms (the surface of Callisto, another of Jupiter’s moons, is estimated to be a few billion years old). Along Europa's many fractures, and in splotchy patterns across its surface, is a reddish-brown material whose composition is not known, but may hold clues to the moon's potential as a habitable world. NASA's Galileo spacecraft explored the Jupiter system from 1995 to 2003 and made numerous flybys of Europa. Galileo revealed strange pits and domes that suggest Europa’s surface ice could be slowly turning over, or convecting, due to heat from below. Galileo also found regions called "chaos terrain," where broken, blocky landscapes were covered in the mysterious reddish material. In 2011, scientists studying Galileo data proposed that chaos terrains could be places where the surface collapsed above lens-shaped lakes embedded within the ice. One of the most important measurements made by the Galileo mission showed how Jupiter's magnetic field was disrupted in the space around Europa. The measurement strongly implied that a special type of magnetic field is being created (induced) within Europa by a deep layer of some electrically conductive fluid beneath the surface. Based on Europa's icy composition, scientists think the most likely material to create this magnetic signature is a global ocean of salty water. In 2013, NASA announced that researchers using the Hubble Space Telescope found evidence that Europa might be actively venting water into space, which would mean the moon is geologically active in the present day. 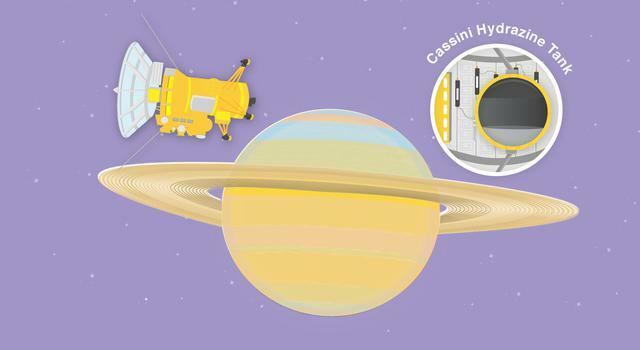 If confirmed by follow-up observations, the plumes of water could be studied by future spacecraft similar to how the Cassini spacecraft sampled the plume of Enceladus. Scientists have good reason to believe that Jupiter’s moon Europa has a liquid ocean wedged between its ice shell and a rocky sea floor. 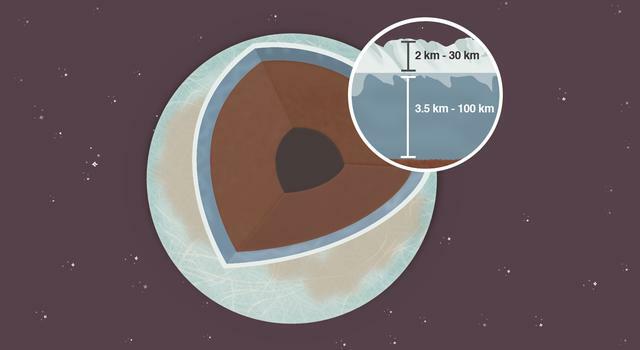 Though it has a known radius of 1,561 kilometers – slightly smaller than Earth’s moon – uncertainty exists about the exact thickness of Europa’s ice shell and the depth of its ocean. Assuming Europa’s ice shell is between 2 and 30 kilometers thick and its ocean is between 3.5 and 100 kilometers deep, what is the minimum and maximum volume of its ocean?